The Scenario DLC allows players to fight against high level monsters that go above the level 30 threshold from levels reached through the Secret Lair. Throughout the year to come, more monsters and levels will be added, alongside new items and boss fights. After future updates, players will earn "Heroic Deeds" that will make them even stronger. It is nice to see Neocore supporting Van Helsing so soon after it has been released. It really is a fine game, and the Scenario DLC provides for more ways to get playtime out of your runs. 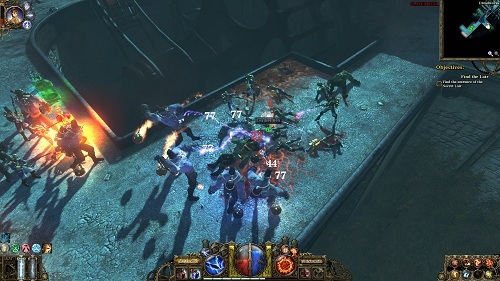 The Incredible Adventures of Van Helsing is part one of a three part trilogy of ARPG games. It is available for the PC via Steam for $14.99, and supports cooperative play with up to four players online.